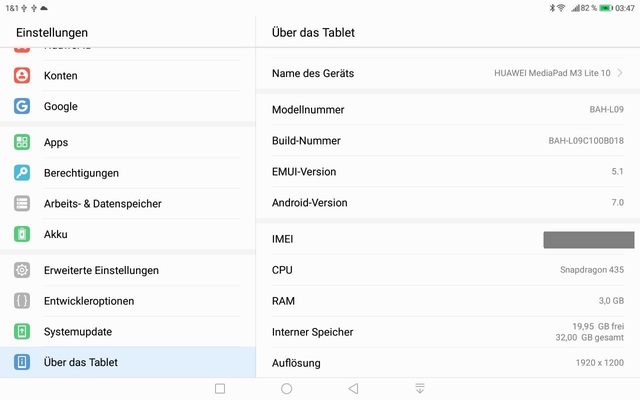 I need a TWRP-custom recovery for the Tablet: Huawei MediaPad M3 Lite 10 LTE (BAH-L09), please. If anybody, for example Hovatek, maybe. may create me one it would be awesome. Hope all Informations are on the attached screens. In that case, please let me know, what exactly u need, I´ll install then the needed/mentioned Programs to extract the needed Infos for u. (06-14-2017, 03:13 AM)essayn Wrote: Hi, there. Sadly no. It's not even rootable, atm. Tried several Root-& flash-tools and command prompts but I'm not able to get the stock recovery. Any advises, how to extract the recovery.img from the tablet ? (06-14-2017, 07:13 PM)essayn Wrote: Sadly no. It's not even rootable, atm. Tried several Root-& flash-tools and command prompts but I'm not able to get the stock recovery. Sry for the late response. Well even that I can't extract. Tried the days to mount the /system with several tutorials, to have permissions, but no luck so far. When I'm back from work, I'll try an FTP-connection with 'WiFi File Transfer' which should, what I've red, work and even let me watch the system-files. There have to be a way to extract the stock-recovery from a non-rooted but unlocked bootloader snapdragon-based device. Well, I haven´t found it yet. I´ve attached some pix which shows the device-infos, at least that worked. Maybe this helps. BTW_I censored some ID-parts, when they are needed (just in case they help at all), just PM me please. Does another option exist, to read out the needed recovery specifications ? 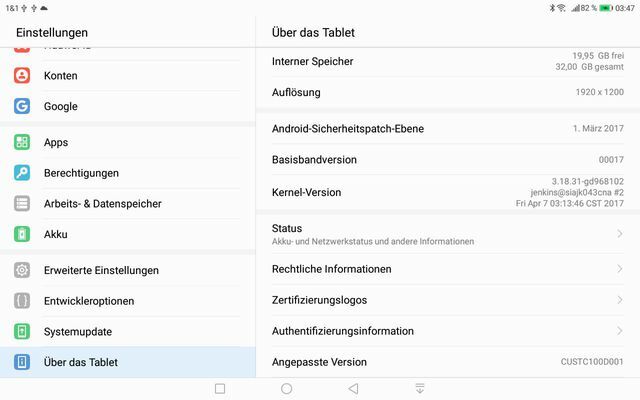 After tried so many apps, progs, commands etc..I´m completely out of ideas. I´ll try to "persuade" my Miracle Box further to make a full backup. Ah, BTW_I´ve heard about a the System Dump Mode, but the *#9900# doesn´t work besides almost all other codes I´ve tried. Is it a bug ? Tried to root via MB, no luck atm. But extracted some partition-infos if needed. I know a scatter-file-ike sheet would be perfect but not available....since now. Already tried a few days ago. Several (Loader-) versions and modules. Non of them worked properly nor reliable. Any trustworthy sources to share ? Also tried each and every cracked-box from here, most of them, of course, useless for my needs. But after trying so many time-robbering "solutions" I gave it a shot. So, time will bring root-rights. I won´t give up. Literally all root-apps have been tried so far. Well, Just need a temp-root at least and I´ll ´nandroid´ the whole ROM....sooner or later. Really appreciated your support, maxpayne. If u´ve a working CM2-Box-loader-link I´d be mucho grateful. (06-19-2017, 08:31 AM)essayn Wrote: Already tried a few days ago. Several (Loader-) versions and modules. Non of them worked properly nor reliable.